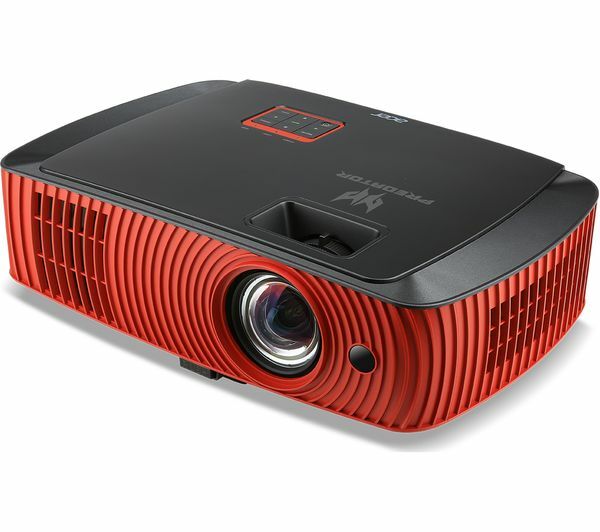 Enjoy a truly unique gaming experience that makes you feel as if you're really within the game with Acer's Predator Z650 Short Throw Full HD Gaming Projector. Experience every detail in all your favourite games with a Full HD 1080p resolution and 20,000:1 contrast ratio. See every game exactly as the developer intended with an expanded colour gamut that offers 100% sRGB coverage. 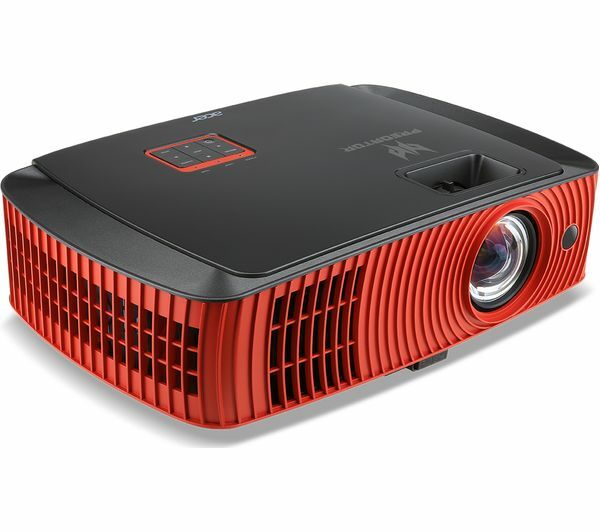 Able to project up to a 300” screen, the Predator is perfect for creating screens for huge spaces. But if you want to use the Z650 in a smaller space, the short throw option lets you project a display up to 100” with a distance of just 1.5 metres. Creating the perfect image for every game, the Predator Z650 has modes that enhance your visibility depending on different in-game environments – analysing content in real-time to improve contrast and colour. Easily create a custom splash screen so that you're greeted by your greatest moment every time you boot up the Z650. 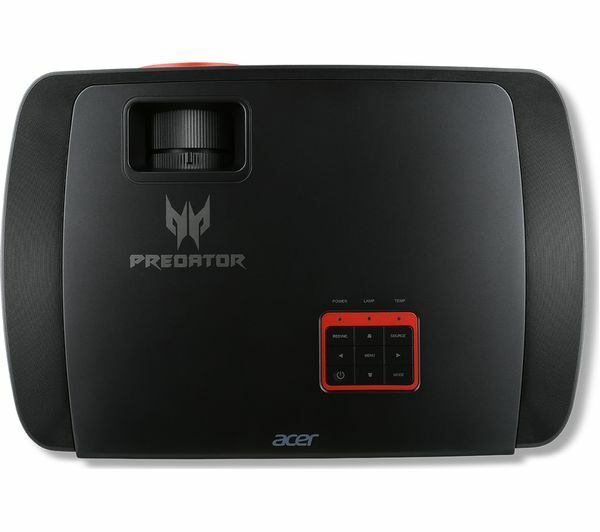 With a few simple button presses, the Predator can capture any moment and save it as a custom screen. Entertain your crowd without needing external speakers with built-in dual speakers and DTS sound technology. But if you want to enjoy a personal, immersive experience, Bluetooth Audio lets you connect wirelessly to your Bluetooth headset. 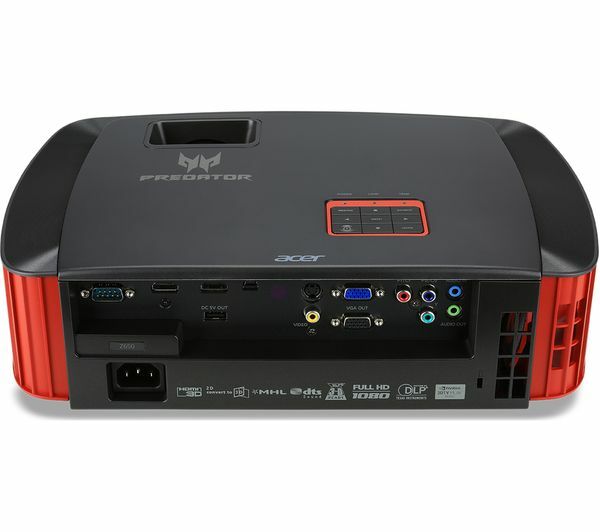 Pair the Predator Z650 with a Wireless HD kit to stream full quality 1080p content wirelessly. 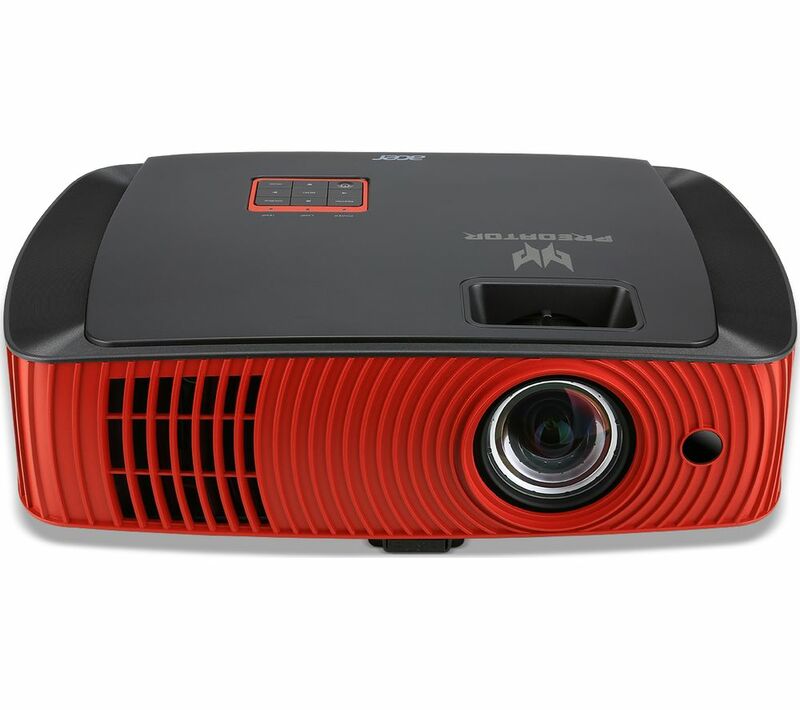 With a hidden dongle inside the projector, you can connect easily without additional cables. 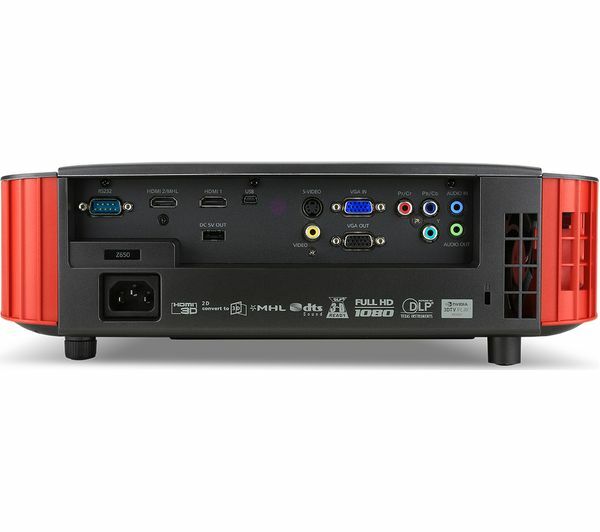 With a full complement of port connections at the back, you can easily connect to a large range of source devices however you want. Get the most out of your Gaming Projector with our range of projector screens, so that you don't have to worry about finding a blank wall large enough for the image. The Optoma range spans up to a huge 92”, so that you can bring a cinematic feel to every game you play.